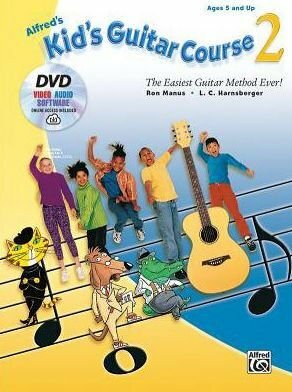 Alfred's Kid's Guitar Course is a fun method that teaches kids how to play songs on the guitar right away. Alfred's Kid's Guitar Course is a fun method that teaches kids how to play songs on the guitar right away. Book 2 starts where Book 1 leaves off by teaching new concepts including notes on the fourth, fifth, and sixth strings, new chords, tempo signs, dynamics.